Aunt Tami's House: Confetti Eruptions! 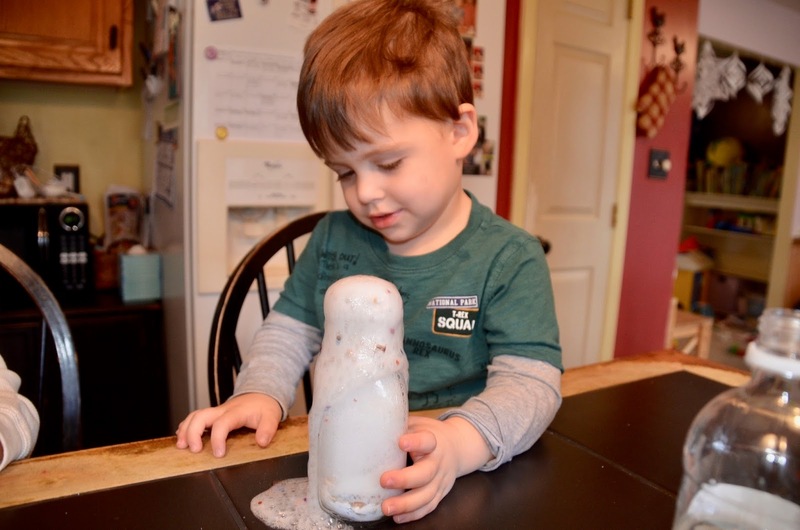 Ring in the new year with confetti science play! Kids can enjoy New Year’s Eve too even if they don’t get to stay up till midnight, or have an early celebration filled with confetti fun. 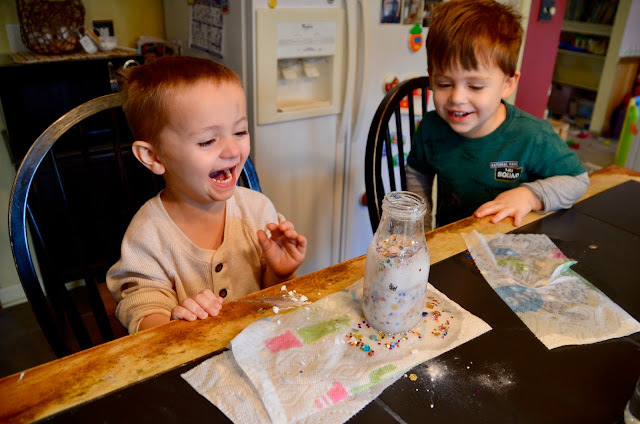 Try confetti science eruptions and let the kids make a little mess for a special occasion. Nothing says New Year’s Eve like tons of flying confetti! Supplies we used: baking soda, confetti, distilled white vinegar, and turkey droppers. 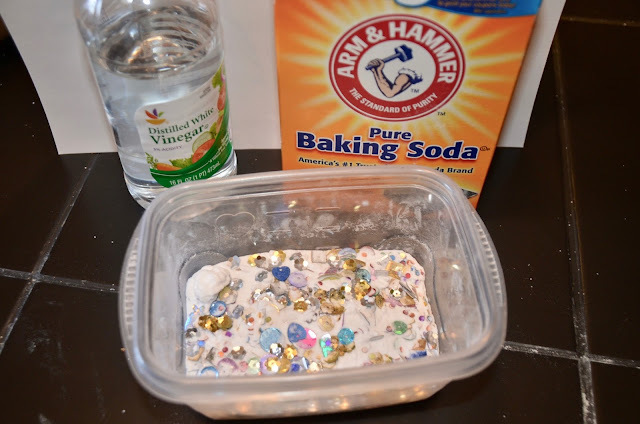 Mix together the baking soda with the confetti. Place in a clear cup so the kids can see the confetti bubbling over in the best way. Add the vinegar a few drops at a time and watch your creation bubble over!